Review: Vodafone Smart Platinum 7 – For those who want a premium phone at a sub £300 cost! There used to be a time when buying a phone from your phone network provider was the simple go to method. They subsidized the costs against the network charges, and you ended up with a great deal and a great phone. The trade off was living with a phone that was locked to that particular network. The last few years has seen that trend shift in the wrong direction. These days it is actually more expensive to buy most phones with a contract, and cheaper to buy them SIM Free straight from the manufacturer or a third party shop and buy a SIM only deal. Vodafone are looking to buck that trend, and they’re doing it the good old fashioned way. Last year they introduced the Smart Ultra 6, which has been followed by the once again extremely affordable Smart Ultra 7. However, this time they haven’t stopped there. With the Smart Platinum 7, Vodafone are looking to take on the big guns. By packing in good looks, great specs and a great camera, Vodafone are aiming at giving their customers a complete premium package at a fairly decent price. In many ways, the front of this looks very similar to the Alcatel Idol 4 phone. You have a speaker grill both at the top and the bottom, though it doesn’t really give you the upside down ability. In the front you also have the screen, and the front facing camera which also comes with a flash. The back shows off a textured pattern behind a glass panel and protruding camera with a dual tone flash. You also have the circular fingerprint scanner at the back. The top has the 3.5mm connector on top, while the bottom has the micro USB port. The right side has textured buttons which feature sharp edges for power and volume, while the left has another one which functions as a camera button. All in all, the phone is designed to look good, and the sharp edges assure you that the phone means business. At only 155g it also feels light in your hand, though the glass panel does make us wonder how it will take to the falls. Vodafone have packed in a 2K screen, and it delivers well. The colours are bright and vivid, and it performs well in bright sunshine. It also performs well in games. Being a decent size also means that it is great to watch videos on as well as enjoy various photos. The phone offers a very impressive set of specs, worthy of any great phone this year, and definitely a top phone by last year’s standards. The phone doesn’t disappoint. Since it also comes with almost vanilla Android, it means that the phone has not much apart from the main OS to run, keeping it fairly free apart from all the apps you load on it. Email, social media and basic browsing are fairly fast, and same goes for gaming. It may come loaded with a lot of bloatware from Vodafone, but other than that, it runs fairly standard Android, which means you don’t have any skins or such like getting in the way of performance. You can pick and choose which of those you like, and if you want, you can simply ignore them. The camera is rather impressive on this. Yeah, it won’t beat the likes of the Samsung S7 or the LG G5, but it does offer some very good results. The performance in dark environments and indoors is pretty good, and it captures decent quality images. Also on offer are manual settings, as well as slow motion video. The latter is okay, but it doesn’t really allow you to do much. A day’s worth of decent battery life comes as standard with this. 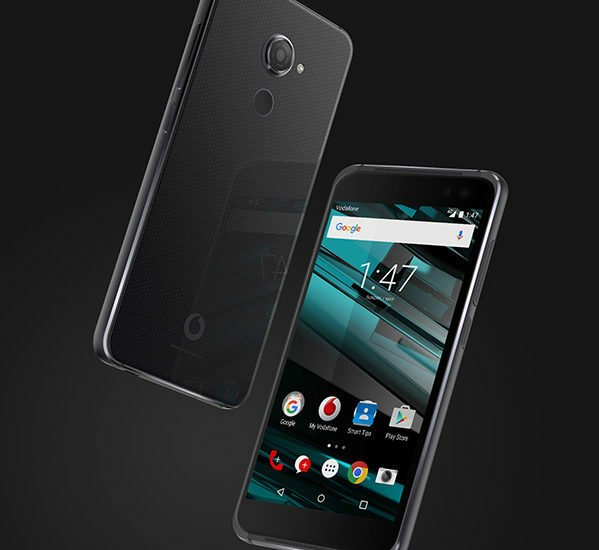 More information on the Vodafone Smart Platinum 7 can be found on the Vodafone website. It is available on Pay As You Go and is available for free on packages starting from £28 a month. It is also available at £285 on Pay As You go. Vodafone has also been packaging a free VR headset with this, which makes it an even better deal. Want a good phone, but don’t want to spend the big bucks? This one is for all of you savvy spenders! Previous story Review: Vodafone Smart Ultra 7 – the best affordable mid-range phone yet?